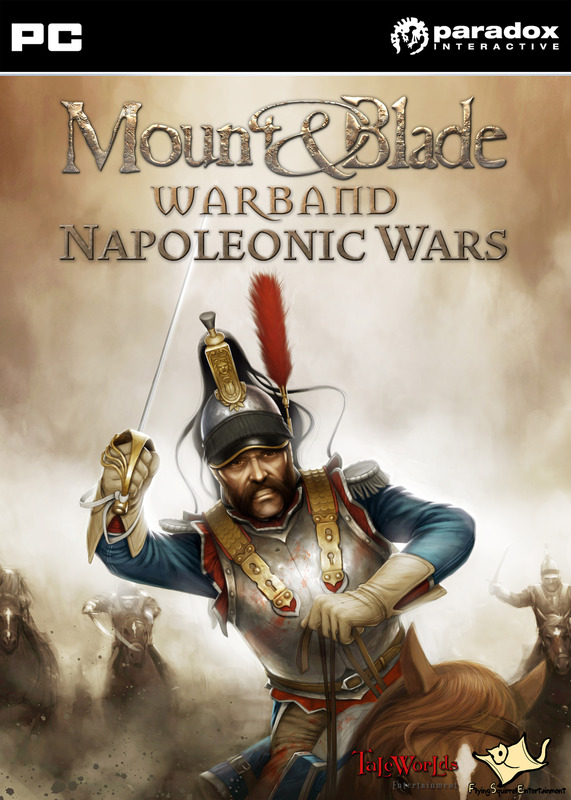 Napoleonic Wars is a multiplayer DLC (Downloadable Content) expansion pack for Mount & Blade: Warband featuring the last years of the Napoleonic Wars. Experience the thrill of Napoleonic warfare first hand - Take part in the invasion of Russia or fight the French at Waterloo from the front line! Side with one of the six supreme European powers from the era and choose from and more than 395 unique units to play. Fight on the battlefields of one of the most accurate and detailed Napoleonic war games ever! Accurate early 19th century weapons, uniforms and environments. Massive multiplayer battles with up to 250 players. 6 nations with more than 395 unique units to choose from. A wide range of artillery pieces ranging from field cannons to mortars, capable of firing cannonballs, canister or explosive shells, all fully controllable by players. Destructible environments; players can use a range of artillery and explosives to destroy various buildings, bridges and other structures. Finely crafted game balance insuring player skill is the hero of the battlefield, not the gun or the sword. Construct barricades, dig trenches, and rig explosives with the multi-purpose Engineer class. Special musician units with drums, fifes, bagpipes or trumpets, able to play historically accurate tunes; all recorded and played by award winning musicians. More than 40 classical background music tracks. 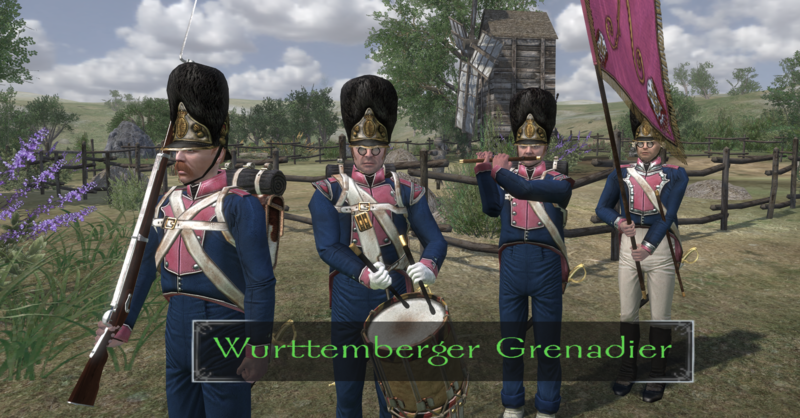 Napoleonic Wars Patch 1.2 released! First off we would like to apologise for the lack of recent updates. We have something quite unexpected for you in store today. A new Napoleonic Wars patch! The new faction is going to be the "Confederation of the Rhine" or "Rheinbund" as it is called in the game. The "Rheinbund" was initially formed from 16 German states by Napoleon himself. After Napoleon defeated Prussia in 1806, 23 other German states joined the confederation. While the confederation mostly included minor states, some of the largest German states like Bavaria, Wurttemburg and Saxony were part of the confederation too. This provided Napoleon with a major strategic advantage and buffer zone between France and Prussia/Austria. As such, the Rheinbund features an impressive selection of units in the game. Now as you probably have noticed, these screenshots only show some of the infantry. If you want to see the other new units, you will have to download and install the patch! While giving you all of these nice new units is pretty good, we decided to take a few steps more and also add new "Surgeon" classes to each faction. Above you can see three of the 6 new units we have added. They are equipped with small swords and bandages. These bandages can be used to heal friendly (or enemy, if you so choose) players. Additionally, if you play as surgeon, a symbol will be displayed over hurt players heads signaling that they need help. If you get damaged, a symbol will also appear over the nearest surgeon, so that you can quickly seek assistance to treat your wounds. Next up is some more graphical stuff. 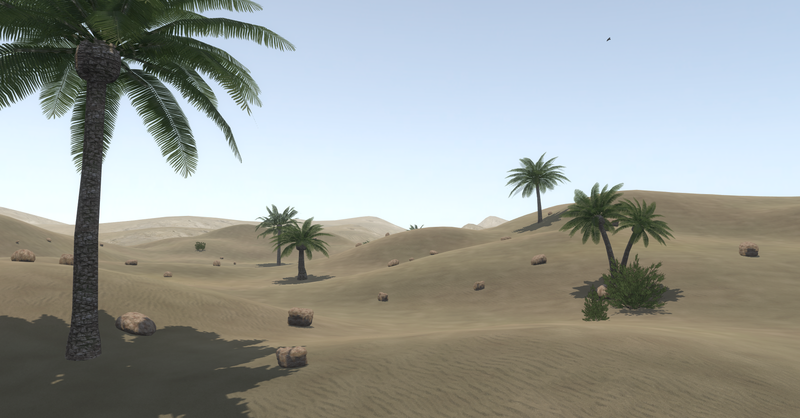 We have added palm trees to the game and while doing so have decided to also add cattail and lilys to the game. 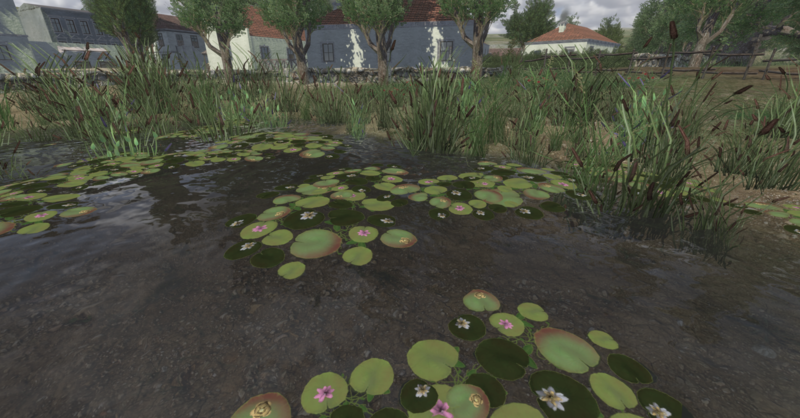 We think that you will be able to make some nice new maps with these. We also added some other new props. We added a Pyramid and fitting to the palm trees, coconuts. 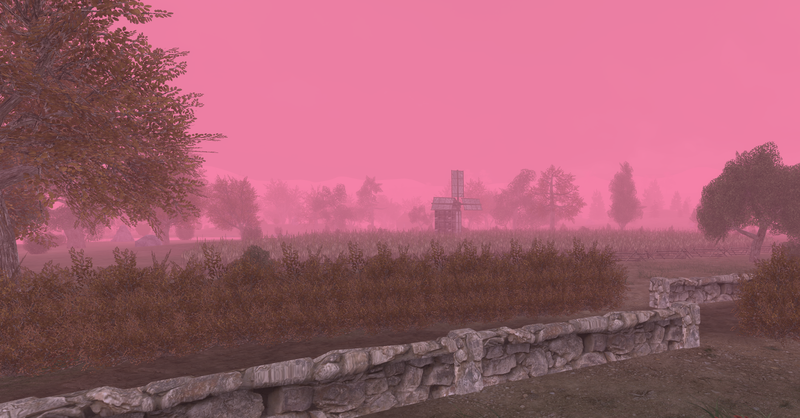 There is a new system for mappers to define fog color on their maps. There are 3 new props. mm_weather_fog_color_red green and blue.. var1 and var 2 gets counted up together so you can define a strength of each color between 0 and 254. It works like html RGB colors. We added teleporting door props for mappers to use. For a yet unfinished gamemode, we also added a few new props that make it possible to spawn in items. 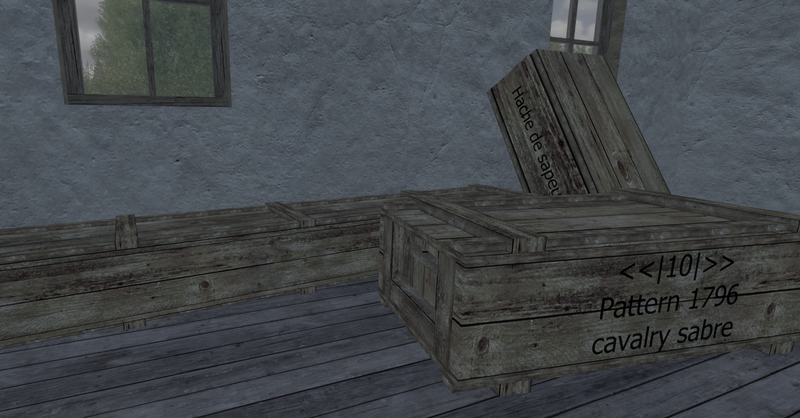 If a player interacts with them, they will pick up a randomly selected item from the boxes. As you can see below, it also works for cannons and horses. We have done some changes to commander battles too. Changes include some admin stuff, some rebalancing and most importantly, changes to the looks and feel of commander battles. All regiments that have a flag bearer and/or musician will now spawn with these units. Officer, flag bearers and musicians will also provided bonuses to their troops, just like in other gamemodes. We have finally made class limits work in commander battle. Class limits are what you expect, with the exception that sailors and partisanis are limited with the sapper class limit. Additionally we have added a admin panel setting to limit line infantry from spreading out to far. If turned on it will make it impossible to tell your bots to spread out like light infantry does. This only affects line infantry. Admins can now also turn on a setting that will prevent human players from "ramboing". I.e. it will make it so that any human player that is to far away from his bots/squads will not deal any damage. There are also some new things for Admins. We have added a welcome message that will be displayed in the chat upon joining the server. Server owners can change the welcome message at will. The default message displays the players ID. v The server now also logs if a player or a players horse was teamwounded or teamkilled. The server now logs when the map or round was changed. We think that this will be very useful for server owners. Admins now also have the ability to revive dead players. Dead players can be revived up to 33 seconds after they were killed. This will make it easier to find someones name without sifting through every dead player. Reviving will respawn a player at the location they last died. Additionally admins can also spawn in players during the round. Players will be spawned at the team spawn point. Admins can now also enable the god mode on themself or other players (including non-admins). A player who is in god mode can not be killed and runs extremly fast. They can still be slayed via the admin tools. In the admin panel you can now turn on the "Groupfight mode". When this mode is active, people will spawn without pistols or carbines and without ammo. Infantry will spawn with melee only muskets. This will only affect players AFTER the option is turned on. Going together with that we added a setting called "competitive scoring". On map reset, scores don't get reset, when being teamkilled, it does not change the KD ratio. We also added the ability for admins to have custom polls. For server modders we added a whole lot of new options; Custom buttons, custom chat, also custom usable scene props which you can make to be visible to clients. A new white list system has been added for admins, server owners can add the CD Key Id's of your admins to your server console or server config file and they auto get admin upon joining the game server. Staying with server side things, we have increased the game performance by a lot. For example, we have reworked the code for cannons, explosives and destructible objects. We rewrote various client-server communication related stuff. Overall the server is going to perform much better now. The server CPU takes a much much smaller hit now and overall fps is increased and more stable. You can now finally blow up the entire map with explosives without having to fear that the server crashes. We have also managed to slightly increase the clients fps across all maps. Bonuses have been fixed and they should no longer take any performance. We recommend turning them on, as they literally take no performance. Additionally we have remade almost ALL collision meshes in the game. This results in better performance and more importantly, players should no longer be able to fall through the floor of buildings or ships. Stairs generally should no longer bug too. Trees now also have much more accurate collision meshes, so bullets will not be catched by invisible collisions. Lastly we have to talk about some of the more important changes that can not be easily categorized. We have added a new gamemode called "King of the hill" it should be pretty straight forward what it is about. Each team has to capture a single capture point in the center of the map. The team that captures the point first, wins the round. Artillery has seen a bunch of changes too. Most importantly we have changed artillery horses speed. Artillery horses can move a lot faster now. This should make linebattles way more interesting and dynamic. All artillery regiments now have "Artillery Guards". They are able to load and fire cannons, like normal artillery rankers can, but have a different loadout. They are equipped with a musket and a small sword, just like normal line infantry. Their purpose is to guard the artillery. Marine artillery now have the ability to ride artillery horses. We have greatly increased the effectiveness of canister rounds. They fire more horizontally and less vertically maning it will spread more predictively. Howitzer canister will now fire like the explosive shot does. Fitting to the artillery horse change, artillery horses don't run away anymore when hit. Normal horses also don't run away anymore, but still do when hit. There are various smaller fixes/changes to sappers too. For one, build points can now be increased to 9999. We have also adjusted the costs and health for some of the props. For example, the plank is now much cheaper but also has significanlty less health. We have fixed building plank towers and overall it should be much harder, up to impossible to build towers into the sky. We have also introduced a cooldown for placing props. You need to wait 2 seconds before placing a new prop. We have also fixed a bug that made it possible to dig earthworks into the sky. 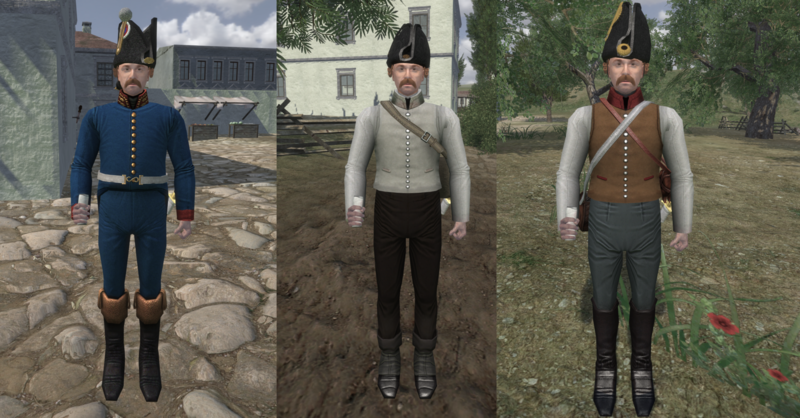 - Changed the collision mesh of troops to better fill the body out, and make the legs smaller. - Sword lengths for cavalry were standardized. Light sabers are at 101 length. Heavy cavalry or other long swords are 110. - All bayonets were made 136 length. Meaning all but GB bayonets are now shorter by 2 length. - French cavalry musket length was brought on par with the Russian cavalry musket. - Prussia and Rheinbund now have cavalry muskets as a option for their rifleman. - Heavy and medium horses are slightly more maneuverable. - Bracing in a group and forming a square is now a viable tactic. You can turn around faster while bracing without loosing the brace. It is very effective with pikes. - Sailor armor was removed, and they were given standard infantry armor in its place. - Welcome message will be displayed when joining a server. The default message will display the id of the user. - Commander battle now has musicians that play music and flag bearers. - The server now logs when someone was teamwounded or their horse was teamwounded or teamkilled. - A revive and respawn option was added for server admins. - God mode was added. It makes you invincible and run faster. - There is now a 2 second long restriction on how fast players can construct sapper props. - A suicide button was added to the ESC menu. - Added a a group fight mode. - Added option to disable damage when player is to far away from squad in commander battle. - Custom maps are now selectable in the admin panel. Server owners can choose how many maps people can vote on or amdins can select. - The # of custom maps available is now 100 instead of 20! - Admins can now limit how many people can play as artillery train. - Admins can now limit line infantry from spreading in commander battles. They can only close in or spread back to the starting spacing. - The server now logs when the map or round was changed. - Artillery Guards were added. They have the same stats as a ranker, but only spawn with a bayonet, ammo, and sword. - Added the ability for admins to have custom polls. 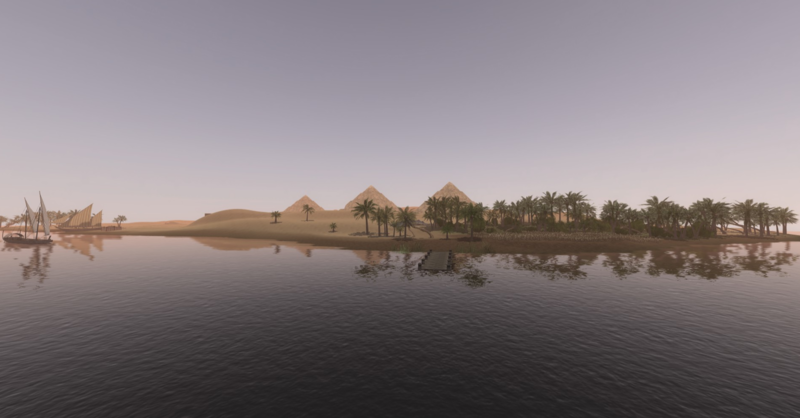 - Added a few new scene props like a pyramid and coconuts, palm trees, lilys and cattail. - Added new usable sceneprops for spawning items/horses or cannons. - For server owners added a lot more options: Custom buttons, custom chat, also custom usable scene props which server owners can make visible to clients. - Added the ability for servers to define their own map names (in strings.txt) and it gets synced with players and admins. - Added the ability to add custom flag names for your own conquest maps. - Added teleporting door props for mappers to use. - Added that server owners can add the CD Key Id's of their admins to their server console or server config file and they automatically get admin. - Added the setting "competitive scoring". On map reset, scores don't get reset, when being teamkilled, it does not change the KD ratio. - Added a system for mappers to define fog color on their maps. - Bonuses now work in commander battle and bots provide bonuses when playing as the right class. - Rewrote most of the explosion and other destruction scripts, blowing up the whole map will not cause huge lagspikes anymore. - Reduced the server cpu usage overall to increase performance with high player count servers. - Increased FPS across the board in all maps. - Artillery horses don't run away anymore even when hit, normal horses also don't run away anymore, but do when hit. - Added the "Rheinund" as a new faction to the game. - Added a new musket. - Added a usable bandage. - Added a usable surgeon class. - Added one new map. - Remade almost all collision meshes including the frigate. - Prussian Landwehr now has pikes as an option. - Added a new admin menu and rearranged some of the admin tools based on usage and importance. - Refilling ammo now both refills ammo if they have any, and if they dont, gives them ammo for their weapons. - Admin healing now heals a players horse, if they are mounted. - Canister rounds now fire more horizontally and less vertically. - Dragoons now have better athletics(2). All other cavalry and generals now have 1 athletics. 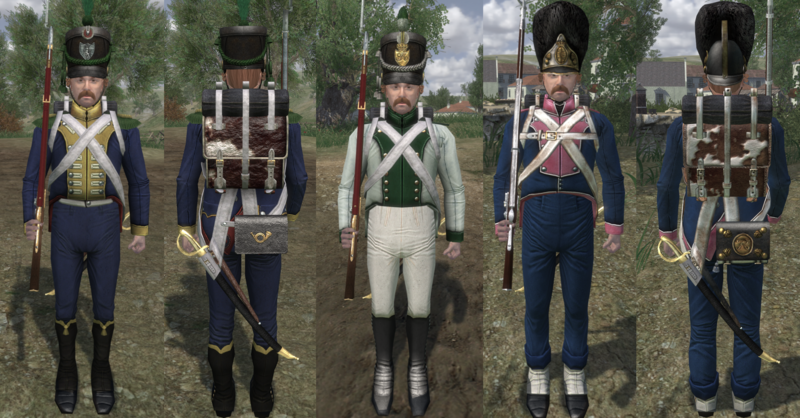 - A few of the prussian hats were giving too much armor, those were changed to the standard infantry hats armor. - Pistols damage was nerfed. - All bayonets were made 136 length. - Instruments were found to be over powered, and thus had their melee stats nerfed. - Sword lengths for cavalry were standardized. Light sabers are at 101 length. Heavy cavalry or other long cavalry swords are 110. - Bavarian AI was nerfed in commander battle. - French cavalry musket was brought on par with the Russian cavalry musket. - Grenzers are now light infantry. they still maintain an interesting hybrid in stats compared to the other light infantry. 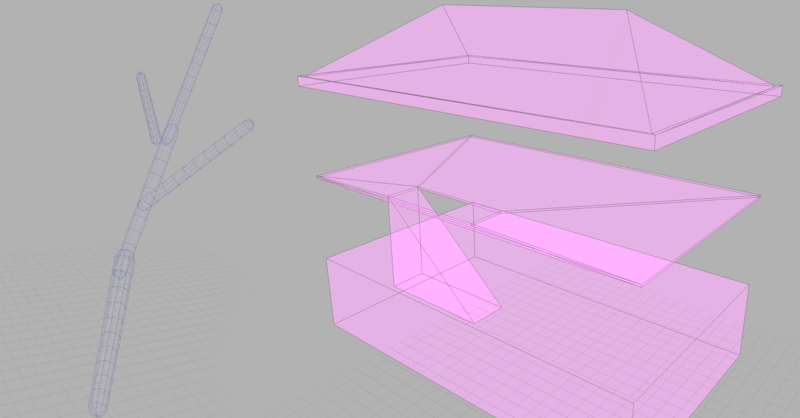 - We changed how many build points it takes to build certain props and adjusted their health. - 1Handed axe is now larger, so it can hit props to do the damage it should. - Prussia and Rheinbund now have cavalry muskets are a option for their rifleman. - Birch of knowledge should now crush through more often. - Marine artillery can now ride arty horses. - Captains of the marines had their health fixed. - Removed small axes from opolocheniye in commander battle so they only use pikes and cavalry muskets. - Class limits now work in commander battle. - The map name should now work so the show game rules doesn't break when playing a modified map. - Double flag glitch that caused servers to crash should be fixed. - Fixed issue where players would continue to play music even after the map ended or was switched. - Fixed various issues where scene props or agent ids were 0. - Artillery resets properly both in height and slots. Swivel cannons should no longer fall into objects. Cannons should no longer start the round fake loaded. - Plank towers are no longer possible. - Officers voice spam and a few other units who used the same variable now yell every 5 seconds. - You can no longer have infinite ammo with artillery. - Earthworks can no longer be dug into the sky. - Item are now given server side, which means no more cheating the random weapons generator, or avoiding items like clothes. - You can no longer do the spyglass animation without a spyglass. - Removed message for cheating, so it doesn't crash the server. - The issue where the voltigeur nco for France was an officer was corrected. - Build points should now reset properly when the map is reset. - Non artillery classes can no longer unlimber artillery. - Fixed some bugs with win/loose music not playing correctly. - Removed failed loop on sapper props. - Made it so a certain broken walls wont be selected when the version before it was damaged by an explosion or cannon. - Boat health should now reset when the boat respawns. - Particles now appear when the boat is hit by a cannon/explosive. - Fixed an issue where a sunken boat can keep rotating if you hit it. - Dummies now reset properly. - Can no longer up attack with lance on horseback. - Cannon flash is fixed. - Class limits not working on some units when set to 0. - Fixed bug where it showed lives left in other modes than siege. - Fixed the bugs with cannon aiming, where it would aim far down or up or would spin around when placed on slope. - Reset map now works properly on conquest gamemode. - Conquest points cannot go negative anymore now. - On reset map in siege defender lives are reset properly now. - Fixed a large amount of respawn counter bugs, especially with siege. - Fixed in siege that you can capture the fort even if there were actually defenders close to the flag. - Fixed that bots can capture siege flags. - Fixed the spawning bug in siege that you sometimes cannot spawn for no reason. - Fixed the invisible banner problems. - Fixed the bonuses, they take no performance anymore and don't cause any lag anymore, it is now recommended to have this setting on for balance. - Fixed that destroyed doors would not loose their colmesh if destroyed by explosions. 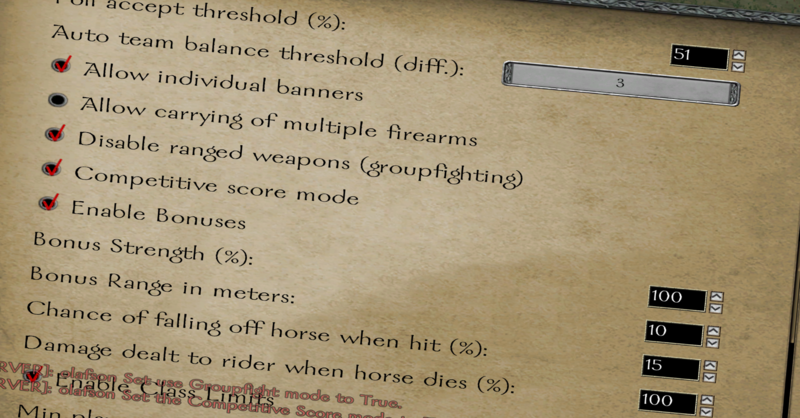 - Fixed that players do not fall of horses when hit. We know that a lot of you are using client side mods to modify the looks of your game. We tried to keep the patch as compatible as possible, but it is not unlikely that some of your mods will have to be updated. Unit skins should mostly work, but if you have also renamed the units ingame, then you will have to redo that. If you overwrite the new.txt files with your old ones, your game will NOT work. If you have the game installed on steam, it should automatically update, so the files below should be of no interest to you. If you have a non-steam copy of the game, please use the files below to patch your game. To play and install the new patch you must first update your Warband to 1.173. Download links are below. Thanks guys, that is all for now! To take part in the discussion of this blog, click here. An overview of some upcoming additions to the 56th Foot mod. Welcome back to our Developer Blog. Today we are going to talk about a feature we have worked on the past 3 weeks and have just completed. This update grants us several new features including the musicians and officers as well as a general overhaul of the colors and bump maps. I really don't have to explain what this mod is, it's pretty simple.. Were is the Dowload Button? I just want to know what program do you use to create mods for this expansion?